The charismatic merino sheep, at home in the southern alps of New Zealand. Photo courtesy Icebreaker. Icebreaker merino wool garments are built for extremes – breathable in summer, insulating in winter, yet exceptionally soft and lightweight. The innovative and enviro-focused Kiwi company has pioneered the use of merino wool since 1994 – fusing nature and technology to create durable and earth-friendly layers for the outdoors, for performance sports, and for the city. 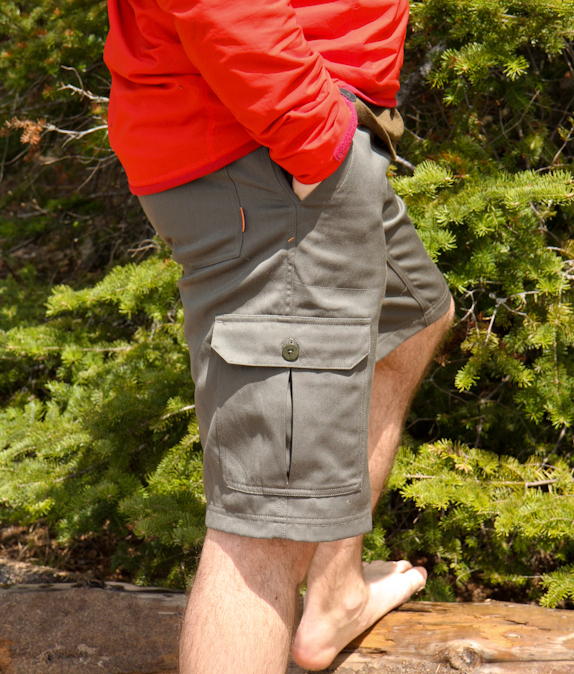 Made from a lightweight-breathable merino-cotton blend, the Rover Men’s Short boasts a rugged cargo style, with two button-close pockets for valuables, and a soft next-to-skin feel that wears well in the heat. In other words, the ideal pair of summer shorts. Icebreaker’s enviro ethics outlined here. Icebreaker’s Rover Short. Photo by Marilyn Potter.